Meizu, an industry innovator in electronics and affordable mobiles, arranged a bloggers event captioned ‘BLOGGERS MEET-UP’ on March 28th, 2018 at Imperial Hall, Nishat Hotel in Lahore. 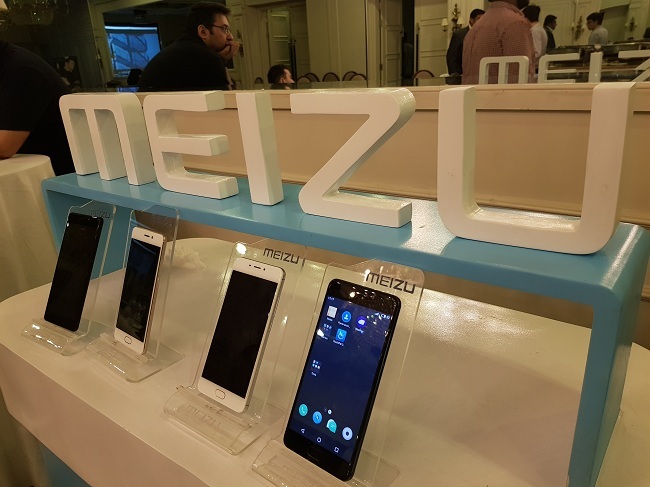 Meizu introduced its spectacular line up of mobile phones that included a hands-on experience of Pakistan’s first ever dual screen and dual touch phones, Meizu Pro 7 and 7 plus along with the standard Meizu M6 and M6 Note. These smart-phones will be available within the coming week and will be available with local warranty from Green Tech’s distribution and customer care network. The M6 is primarily targeted at the budget market with low specifications and price. The phone features a 5.2-inch 720p display along with a quad-core MediaTek processor. It has 3 GB RAM, 32 GB storage as well as a 13 MP rear and an 8 MP front-facing camera. The Meizu M6 is powered by a 3,070 mAh battery. The bigger M6 Note has a larger 5.5-inch 1080p display, a Snapdragon 625 processor, 4 GB RAM and 64 GB storage. The M6 Note features dual 12+5 MP cameras on the back with a 16 MP camera on the front, with a 4,000 mAh battery. Fast charging is also available via an 18W fast charger. The Meizu Pro 7 and Pro 7 Plus, starts with a 5.2 inches AMOLED screen with a 1080p resolution while the Pro 7 Plus has a bigger 5.5-inch QHD (2560 x 1440) resolution display. Featuring a second 1.9-inch screen at the back, the Pro 7 phones boast a unique design, showing notifications, weather and other useful features for ease of access. On the inside, the Pro 7 has an octa-core MediaTek Helio P25 processor while Pro 7 Plus has a deca-core Helio X30. The Pro 7 has 4 GB RAM along with 64 GB storage while the Plus model has 6 GB RAM (same storage).Both phones have a dual 12+12 MP camera setup on the back and a 16 MP shooter up front. The smaller Pro 7 has a 3,000 mAh battery while the Pro 7 Plus has a 3,500 mAh unit. Fast charging is supported via Meizu’s mCharge tech. As part of its global vision Meizu wishes to enhance the awareness of its latest technologies and developments among various customer segments. The event featured presentations from prominent technology specialists to highlight the capabilities and features of Meizu’s latest cellular devices. The bloggers enthusiastically participated and greatly benefited from the insights into the latest technologies at the event. Meizu believes that communication technology has progressed at a rapid pace transforming the concepts of connectivity on a global scale. Meizu’s smartphones resonate with millennials due to their need for a customized user experience, high performance and feature rich capabilities at affordable prices.